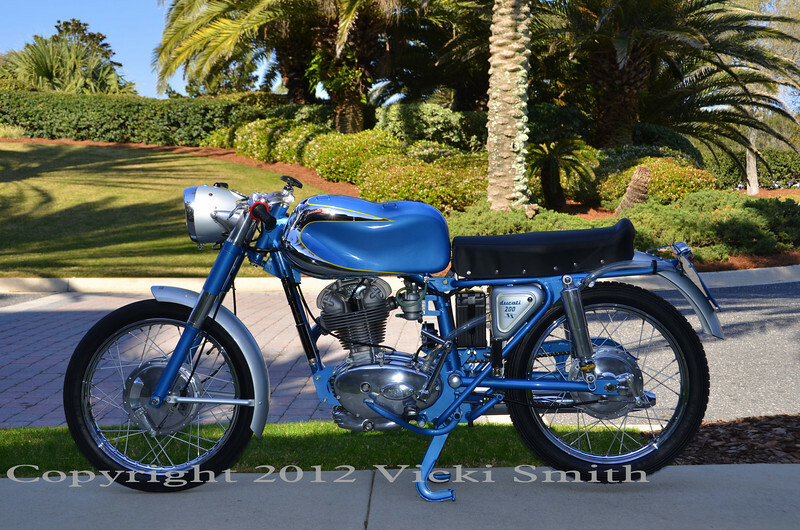 Amelia Island Concours 2013 - Ducati! 1958 200SS owned by Peter Calles, restored by the late Henry Hogben who was for as long as I can remember one of the all time experts on Ducati singles. This restoration, one of his last, is a good example of his talent and expertise.